This Handy 6-in-1 Cable Tester from Ebtech is the professional's choice for multi-function cable testers. 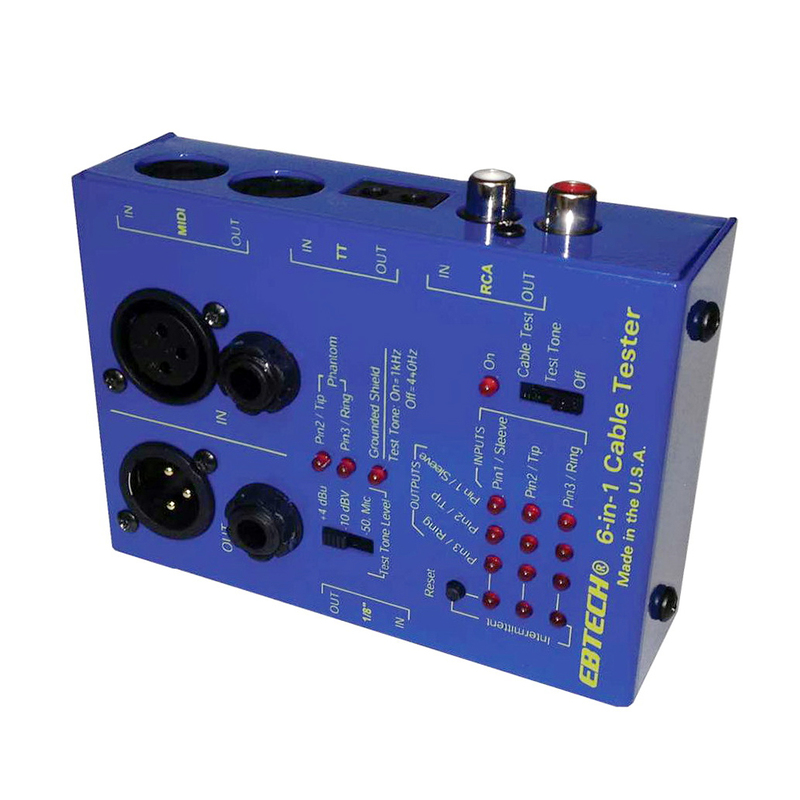 It is unlike any other cable tester on the market. The 6-in-1 displays the exact wiring of any cable or adapter and even allows testing of cables installed inside building walls. Its patent pending intermittent detection allows you to wiggle a cable like crazy and know if there was an intermittent connection at any time, even if you didn't see the LEDs change. 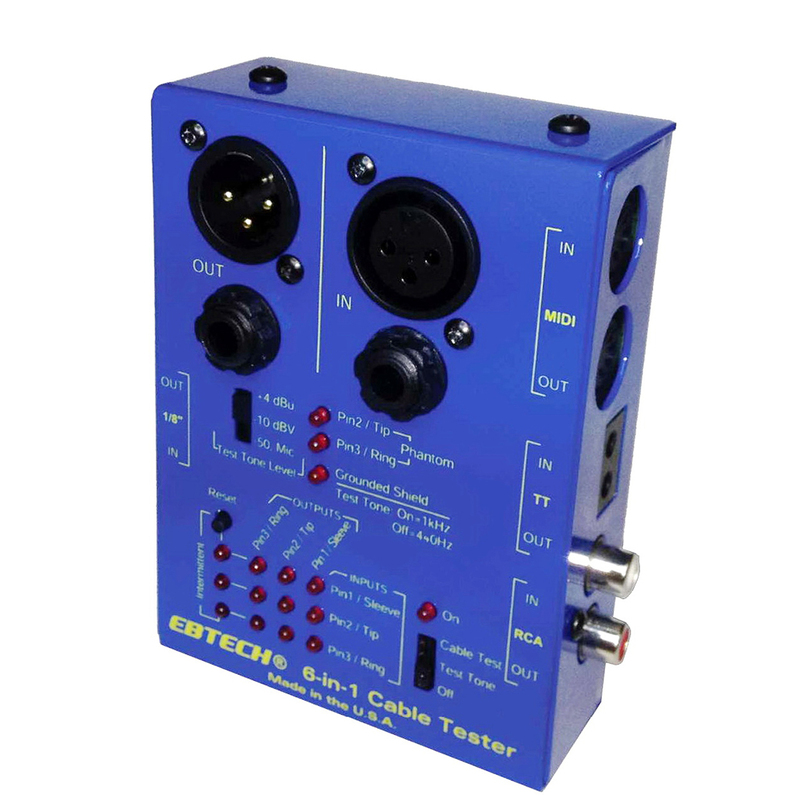 With the added functions of test tone generation, phantom power detect, and grounded XLR shield detect, the 6-in-1 is the perfect utility tool for contractors, studios, bands, broadcasting, churches, project studios and more!